Thanks to Cafépress.com we sell and design Autism Awareness Shirts and Gifts to help create awareness and educate our communities. We have colorful and unique hats; Christmas Ornaments for 2008 Bumper Stickers, Magnets & Tote Bags, license tags and Sweatshirts to help send a message to promote Autism Awareness. People have Autism, they are not Autistic. Please help us make a difference. 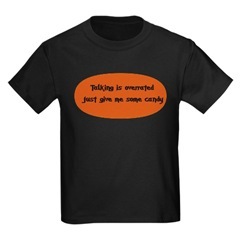 We also carry great T-shirts and Gifts for our Occupational Therapist & Speech Therapist. Our Son is a part of the Ian Project(Interactive Autism Network). Please help us find cure…. After our son’s diagnosis of Autism with severe Apraxia, we were paralyzed with fear. Than we realized "we," needed to create and build his success. So as we turned over rock after rock, his foundation to win this war began. As we educated our family and friends and associates we encountered , they began to stand behind him and let him know they were there to help and to be on his team….. THE WINNING TEAM! I had a tough time picking just one design from Autism Show U Care. This shop is filled with designs like: Proud Parents, Find the Cause, Find the Cure and Autism- I Love You(sign language), just to name a few. Autism & Apraxia (non verbal) support during Halloween. Kids just want the candy and if they can’t ask for it what a great design to be wearing. They can just point to the shirt and open their bag. With Halloween knocking on our door this is a great design of the month (especially for October)! What a great way to show your support. If you know someone who has been diagnosed with Autism, or if you just want to join the cause, go to Autism Show U Care and get your Talking is overrated T-Shirt today! While you’re there check their other great designs.